Hunger is a real thing in America. We forget that. It’s one more thing we overlook, as we move through our daily lives, grabbing a bite here or making a meal there. We joke about being “hangry” and we press on, because we are busy people and there’s much work to do. Yet, many people really are going without enough food in America. Let’s stop for a moment and consider this reality: it’s estimated that 42 million Americans are “food insecure.” 42 million, and that includes almost 7 million teenagers. That was my response when I first heard the term. It sounded like something said to teenage girls in therapy sessions. But it’s not. Basically, hunger has one definition by the United Nations, but food insecurity in the U.S. means that you don’t have enough to eat throughout the day. It means you don’t have enough access to “reliable, affordable food.” For teens, that can mean they might get a free lunch at school, but there’s not enough food to eat at home, so they are scrounging for it where they can get it (like at a friend’s house) or that they’re going to bed hungry. Think about that: 7 million teenagers, trying to go to school and study, play sports, maybe work a part-time job, but meanwhile their stomachs are rumbling. Who could concentrate like that? I know how hard it is for me to concentrate when I’m hungry (yes, I’m one of those people who gets hangry) so I can imagine how hard it must be for teenagers. I look at my own teens and I’m grateful that I can provide good, nutritious food for their growing bodies. I would never want them to be insecure about their next meal or snack. 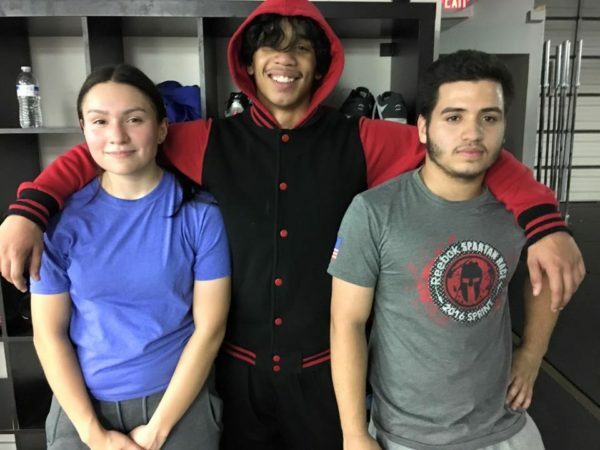 Support programs like Steve’s Club where at-risk and underserved youth in America are given support and opportunities to learn life lessons about nutrition, health, and fitness. Shop at Steve’s PaleoGoods, where 15% of your purchase goes to support the Steve’s Club National Program. The first step to solving any problem is awareness that the problem exists. So, now you know. As you celebrate the holidays with your family, be grateful for everything you have – and, maybe, remember those who have less, particularly the kids. They could use your help. Thanks!